Looking for a woman that will make you fall in love with her at first sight? It might be hard to find such a beauty, but if you are reading this you’ve come to the right place! This stunning single Asian woman is looking for a man that knows what he wants. If that is you, then keep on reading! Isn’t she breathtaking? Chuyi is a single Asian woman that is looking for a man she can spend the best moments of life with. This beauty loves challenges and trying out new things. Who said being curious is childish? Definitely not for Chuyi, she will be happy to go bungee jumping or take spontaneous trips without making any plans! Chuyi is from Changsha, China but she speaks very good English. Also, she enjoys outdoor activities and anything that’s related to being outside and seeing this beautiful world. Do you like outdoor activities? If so, you both might have more in common than you think! 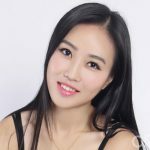 Besides being interested in all the fun things, Chuyi is very easy-going, so expect having this gorgeous lady by your side whenever you want to go on a new adventure! Don’t miss an opportunity to meet this beauty and share the most exciting moments together. Message our Featured Lady Chuyi on Olivia Date today and see if you have more interests in common! Chuyi is also a great communicator, she can talk to anyone about anything. Besides being great at communication, she is a very good listener. So, if you had a bad day at work, she will hear you out and show her support no matter what. This charming lady believes she knows how to make people feel comfortable around her and just have the best time together even on the gloomiest day. In return, she wants her man to respect her and make her feel like she is safe with him. Can you show Chuyi that you are the man she has been waiting for all these years? If so, register on Olivia Date and send her a message, she might be online just waiting for someone like you to send her a message! Although meeting people online is not as intimidating as it is in real life, we understand sometimes people have doubts. Making this process as easy as possible is our prerogative! That is why we are giving you an opportunity to talk to Yang for free! Just register on Olivia Date, fill out your profile and add one or more photos! Once your profile is approved, you will receive FREE credits and you can send a message right away! Start now and get to connect with Chuyi online with just one click! I consent to Olivia Date collecting my details through this form.